Flash written to file 'fulldump_win_20130707-235819.bin'. But the following model has a partial signature match: abeyerr_black. The dump is in the attchment. [  169.727262] USB Mass Storage support registered. Flash written to file 'fulldump_20130719-154440.bin'. Any chance of firmware for this? Please try attached fw tao_80013. Please report if brightness & contrast adjustment in menu works correctly. Please try attached fw kaiser_baas_n1879. I will add tao_80013 to the list of supported dpfs. Works great thanks, contrast does not do anything but picture is fine. Again thanks for your great work. Okay. So I will add it as kaiser_baas_n1879. Just got 1,5" DPF from ebay. Flash written to file 'fulldump_win_20130801-220636.bin'. Your dpf is compatible with model ['sunluxy']. Can't find the flash info,please add it's info to flash library according to flash ID. Could somebody help me with correct FlashLib.ini? I flashed it, but do not understand how. Unplug cable, reset device, plug cable and press Menu+Reset. After that I pressed execute in ProgSPI and it works. I tried a few of the existing firmwares. The linkdelight_5 works, but everything is mirrored and also rotated 180 degrees. 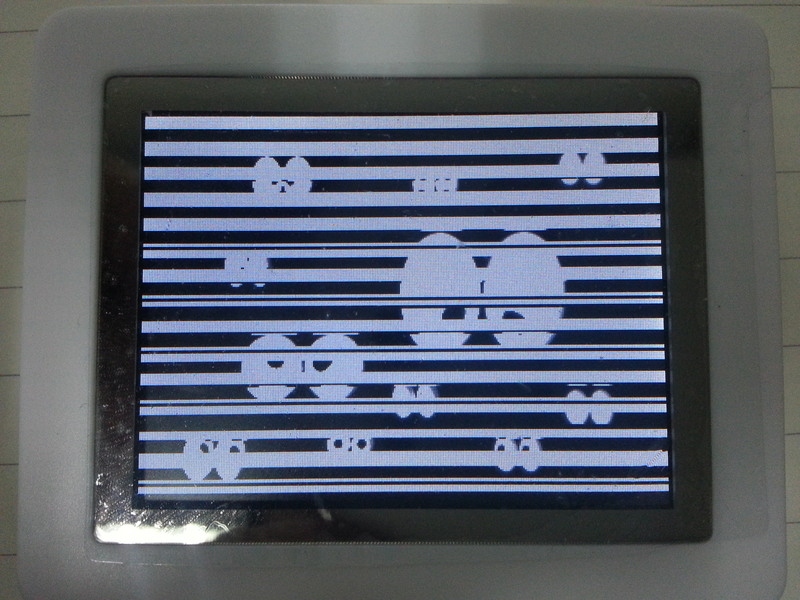 Also the backlight intensity can not be adjusted. I bought it in this shop http://www.dhgate.com/product/2-4-inch-multifunctional-lcd-digital-photo/143997976.html#s1-1-1|2360815227. Edited 1 time(s). Last edit at 08/15/2013 03:18PM by Rollkopf. Just curious: did you really by 50 pieces of this dpf? you are the best. It is working great. I only by 10 pieces. The one who bought 50 pieces is not me. I send a donation to you for your good work. I got Cuby DP151-BW from ebay. I have tried to load fw_coby_dp151_bw.bin but I have problems with alignment (attached photo). Flash written to file 'fulldump_20130818-092535.bin'. But the following model has a partial signature match: zipp_dp605. > in menu works correctly. Brightness changes via menu function is ok but menu contrast is not visible. 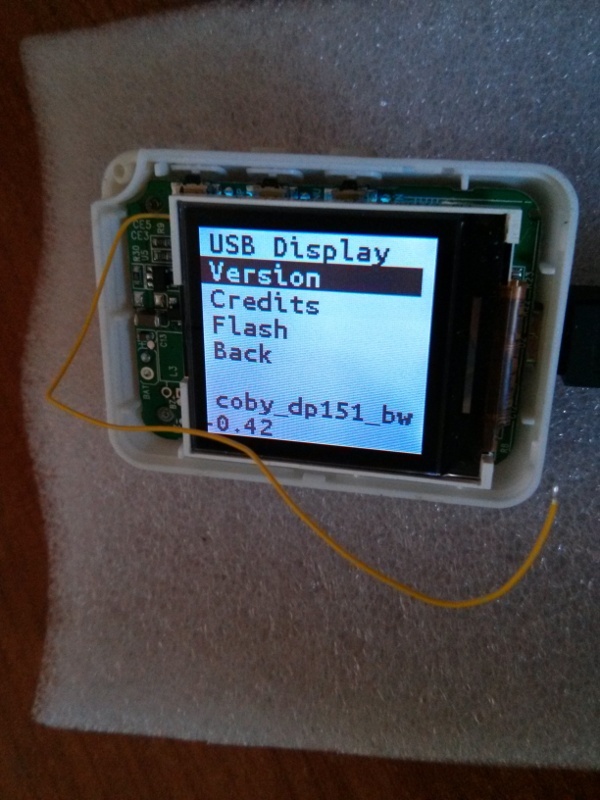 I bought a dpf206 display from ebay. Seems that this one is unknown. Flash written to file 'fulldump_win_20130905-155407.bin'. Please report if the brightness adjustment works. Brightness adjustment works a little from 1-10. It seems there is no difference from 11-21. Does brightness adjustment work better? I tried the new one. Brightness is lower or darker at the hole range. Adjustment works from 1-12 and no difference from 13-21. But also darker at 21. I will use your first firmware. So I will add the first version as "acme_4" to the list of supported dpfs. Edited 2 time(s). Last edit at 09/07/2013 02:26AM by superelchi. Flash written to file 'fulldump_20130912-125512.bin'. I got 4 of them, that would be lovely to have them working ! Please see if the brightness and contrast adjustment works. I have a dpf since some years... creating dust, so I tried to get it working. [ 3801.294718] atkbd serio0: Unknown key released (translated set 2, code 0x8d on isa0060/serio0). It works. I can't provide brand or seller as it's one or two years old and it was a promotional one, I didn't buy it. 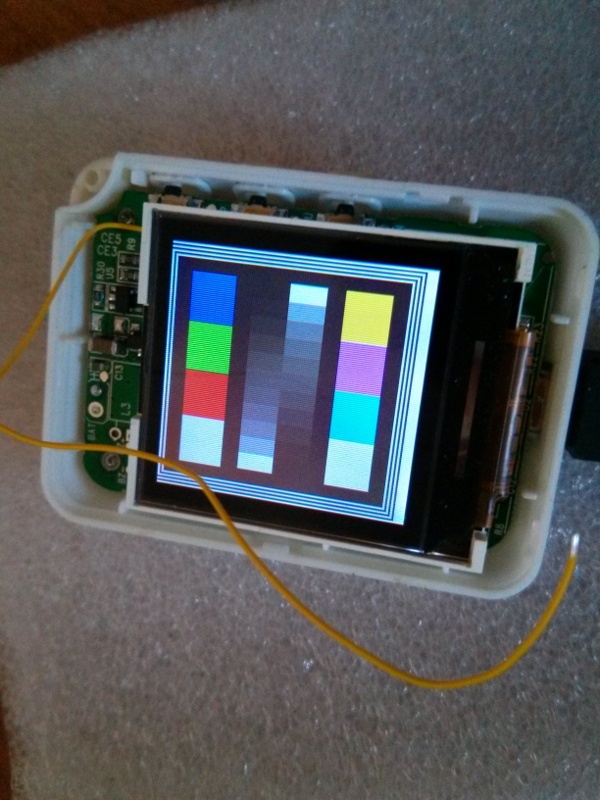 Contrast works, backlight works, testscreen properly aligned. I got this DPF from taobao. Flash written to file 'fulldump_win_20130923-104259.bin'. But the following model has a partial signature match: linkdelight_4. I flashed fw_linkdelight.bin,fw_linkdelight_2.bin,fw_linkdelight_3.bin,fw_linkdelight_4.bin,,fw_linkdelight_5.bin. 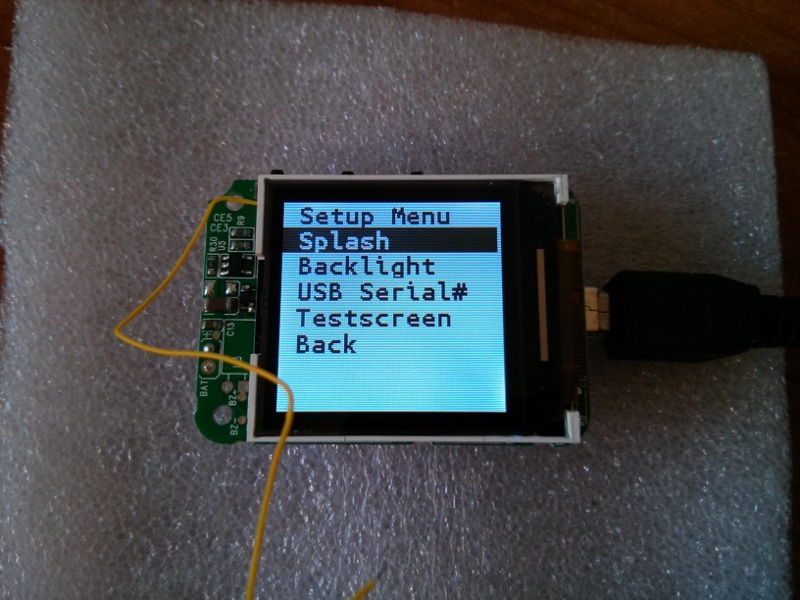 Both fw_linkdelight_3.bin &,fw_linkdelight_4.bin can light lcd and display BIGEYES, but has problem. Pls see attachment. Edited 1 time(s). Last edit at 09/22/2013 10:15PM by elickson.